Does adventure excite you? Would you like to go on an adventurous tour in India? If yes, they have you thought of going on a road trip across the Himalayas to Leh? Not just a regular road trip, but one on your trusty bike. Every bike lover, regardless of the gender, dreams of going on a Leh Ladakh bike trip at least once in their life. While they may dream of having a perfect journey, the reality may not be all roses. The rugged landscapes of Leh and Ladakh often throw up surprises, however, the journey is full of sublime experiences and magnificent places you can see and enjoy. The phrase -there’s beauty everywhere, all you must do is look -is true when it comes to the hypnotic Leh Ladakh. Going on a road trip to Leh Ladakh India is all panoramic vistas of the snowbound mountains, craggy landscape, rising peaks, risky roads, and the throttle of your bike engines. So, planning a Ladakh bike tour is all about positive vibrations and the eternal can-do spirit of the rider. 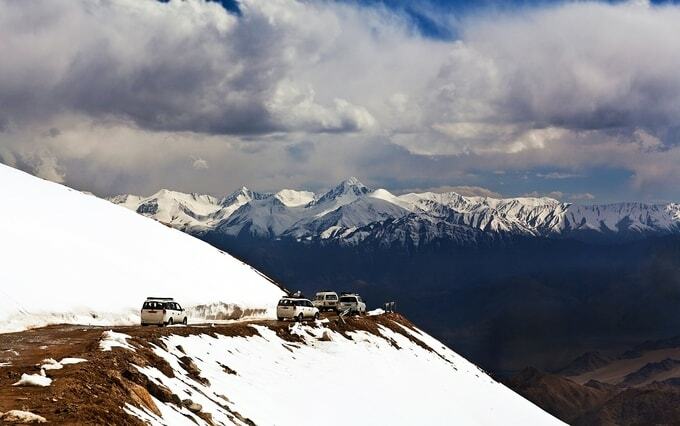 The best time to visit Leh Ladakh on wheels is from June to September when you can experience the best of Ladakh. But you can do the bike trip throughout the year except during the monsoons. 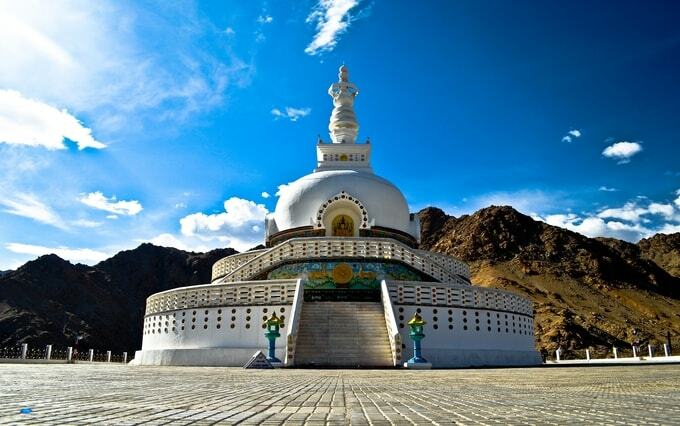 When you travel across the High Passes, you will find many places to visit in Leh Ladakh. 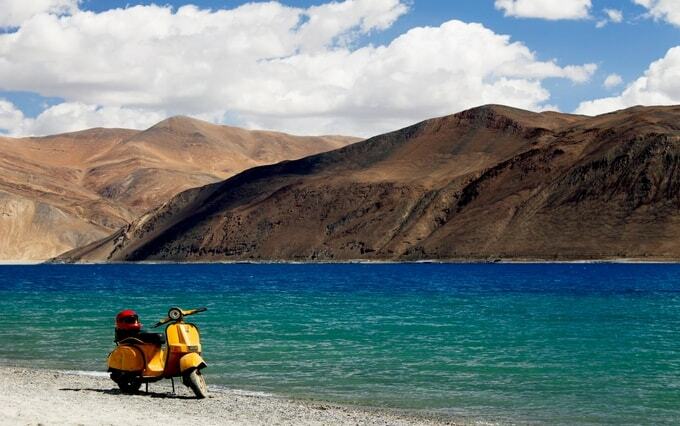 Pangong Tso or Pangong Lake is a must-visit when you travel through Leh Ladakh. Sublime beauty, surrounding gentle hills and crystal water are a few unique features, which make the Pangong Tso a beautiful landscape in the entire region. Moreover, the lake has remained a hotspot for most film shoots that take place in India. 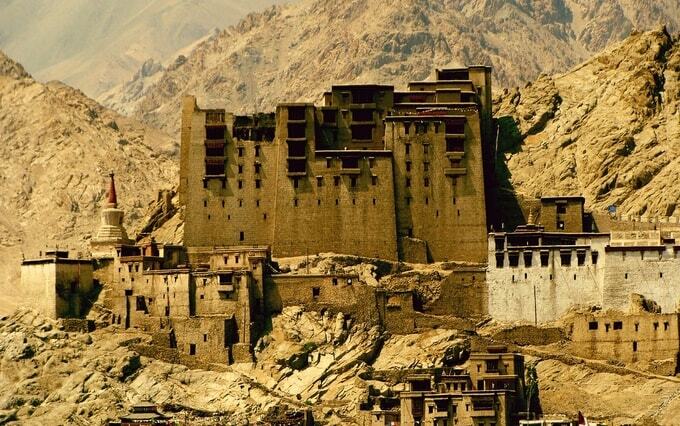 Setup during the 17th-century, the Leh Palace is a perfect tourist destination to explore during your Leh Ladakh tour. As one of the tallest buildings with nine stories, it offers marvellous and panoramic views of Leh town and the famous Zanskar and Stok Kangri mountains of the Himalayan mountain ranges. You can look for bike rent in Ladakh and Leh to explore the breathtaking views of the beautiful Himalayan region in Leh. Pick a sturdy and reliable bike for your road trip. Don’t forget to enjoy sunrise and sunset views from the top of the famous Leh Palace. To make the most of your adventure, schedule your trip during Galdam Namchot Festival, where locals gather to celebrate their festival. Home to many cave monasteries, panoramic views and breathtaking sceneries, the Zanskar Valley is a popular tourist spot to visit in Leh Ladakh. If you love trekking trails or want to experience river rafting, don’t miss a chance to travel to Suru and Zanskar valleys, two isolated valleys of the Himalayan region. The river rafting experience is unlike anything you’ve enjoyed before. The Phugtal Monastery is one of the isolated monasteries found in the southeastern region of the Zanskar valley in Ladakh. The Gompa has gained its name for its teaching, medication, enjoyment, and learning. The Phugtal monastery looks like a honeycomb from a distance. Besides architecture lovers, the Phuktal monastery is perfect for trek lovers, as it is an excellent gateway to enchanting sights. To make the most of your bike tour to Ladakh, you should cross the famous Khardung La Pass, at the elevation of about 5,600meters. The Khardung-La is recognized as the highest mountain pass around the world to travel on a bike and a strategic pass in the Siachen glacier. 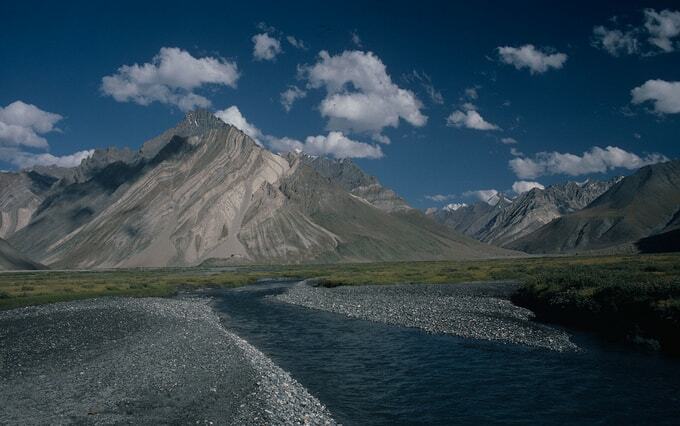 This pass takes you to closer to Shyok and Nubra Valley – two famous valleys of Ladakh. 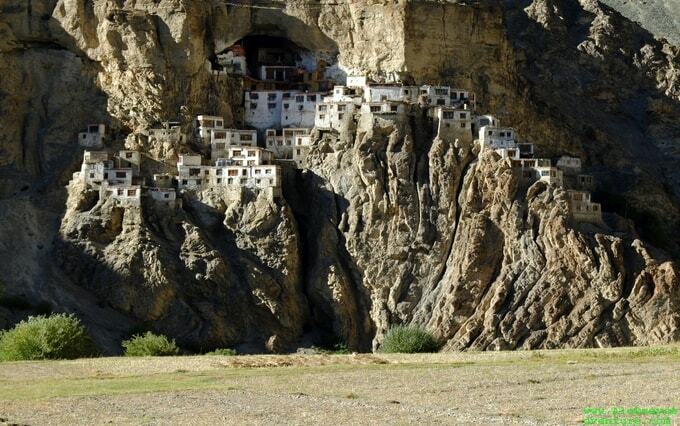 Lastly, visiting Ladakh and not exploring the Tibetan structures and experiencing Buddhist culture is a strict no-no. Make sure you visit the Shanti Stupa -its incredible architecture and white-dome pagoda dedicated to Buddhism. Located on a steep hilltop of about 1100m above from the sea level, the Stupa lets you enjoy countless picturesque views of the surrounding region. If you haven’t started planning your bike tour to Ladakh, then do so now. You can get in touch with travel experts at Kesari Tours to get more details about such a tour.